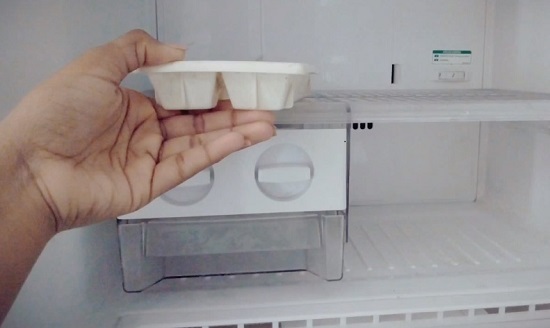 Save eggs for longer periods by freezing eggs in ice cube trays! Follow this step-by-step tutorial to learn how and why to save eggs. Freezing eggs is an economic way to keep leftover fresh eggs for long, even for days and weeks! Also, they freeze very easily. Take a medium-size container, a bowl or any other. Break 4-5 eggs consequently into the bowl! Break eggs and collect the yolk. Take a spoon or fork and beat the eggs nicely. Make sure to beat the eggs properly so that the fat gets neutralized. Pour the beaten eggs into the ice cube tray. Place the tray into the freezer and leave it undisturbed for about 3-4 hours! Once the cubes of eggs are completely frozen, collect them in a kitchen plate. Collect the cubes in a freezer bag and place the bag inside the freezer. Take out the cubes as and when required and place the rest in the freezer, again. 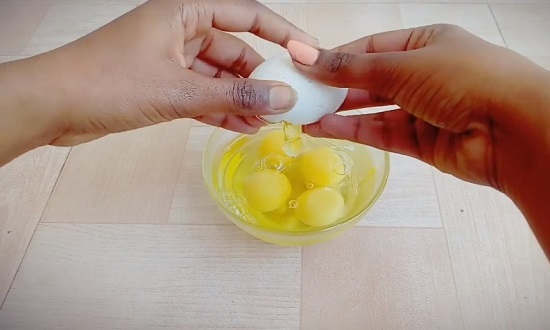 You can buy eggs in bulk and follow these steps, this way you can use eggs for long without getting them rotten.